Contel is the leading provider of OEE solution for pharmaceutical plants in Israel and have installed over 150 OEE lines since 2008. Contel offers a free 3-months OEE trial for one production or packaging line, including software and HW installation on-site. OEE stands for Overall Equipment Effectiveness and allows a manufacturing plant to evaluate and indicate how effectively their production floor is utilized. In addition to that, the OEE index is commonly used as a KPI (Key Performance Indicator) when conducting lean manufacturing practices in the organization. 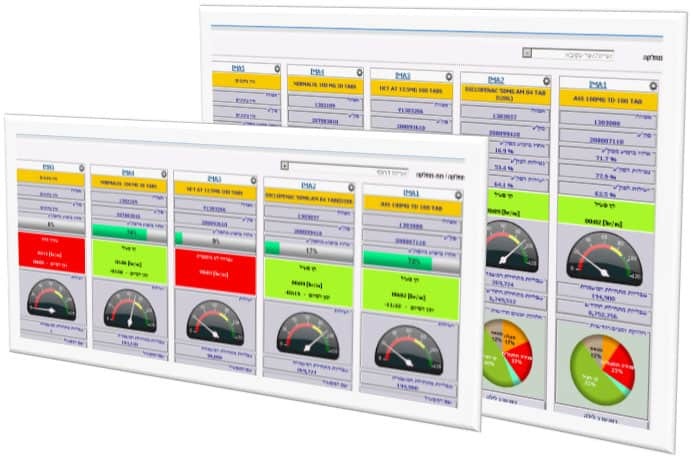 The OEE allows plant managers to monitor the effectiveness of the different resources in the organization by presenting a clear index that contains the combination of an effective production at a glance and enables drill down to the highest data resolution to pin-point on the causes for lost efficiency. Allows clear OEE analysis over a desired time-frame and allows any resolution such as OEE per line/department, shift, machine, plant etc..